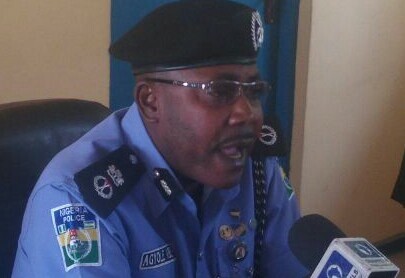 Commissioner of Police in Kaduna State, Agyole Abeh on Wednesday revealed that the command need about one million policemen to effectively cover nooks and crannies of Southern Kaduna which is practically impossible. The Police boss, who was commenting on efforts of his command to protect lives and property of people of troubled part of eight local government areas that make up of Southern Kaduna at the Command’s headquarters was quick to had that, the need for people themselves to cooperate with the police through dialogue remains the surest way to resolving differences. According to him, the police are already using 40 patrol vehicles, deployed more men and will soon come up with strategies that will reduce the spate of crime not only in southern Kaduna, but across the state. “As I speak to you, the area is very calm and there is no any record of any incident after the unfortunate major incident in Goska. We have deployed enough of our men on ground to ensure that they curb any acts of lawlessness. “Like I always say, if you can bring the whole police in Nigeria, we cannot achieved the desired result without the people. All the people themselves, must prepared to embrace peace and must accommodate one another. As regarding illegal roadblocks mounted by some youths aimed to attack unsuspecting passengers plying the trouble spots, Abeh admitted that, so far “we have been dismantling them each time there is any. “We have the department of security service and we are working in conjunction with the military intelligence. Just yesterday, I ordered the police to dismantled illegal gathering and check point around Kagoro”, said the commissioner. On whether there have been any arrest and prosecution in connection with the Southern Kaduna crisis. “We have number of people arrested and we are going to arrest the rest because we have evidences. Its just that we are following them gradually. We have been charging a lot of suspected criminals to courts. “We also intend to within next few weeks, come up with various strategies to curb some menace like drug addiction among youths which has become a source of concerned. That is why we said community policing remains the only option while parents also need to bring up their children in godly way”, said the CP. He however disagreed with number of death reported in some media over the Southern Kaduna crisis, saying the figure was exaggerated, though he couldn’t give any figure.